Baia da Luz has 2 outdoor tennis court, and a children´s pool. Wireless internet access is complimentary in public areas. This Lagos apartment offers a restaurant and a poolside bar. Additional amenities include multilingual staff, a garden, and a safe deposit box at the front desk. Self parking is complimentary. This is a smoke-free property. Rooms open to balconies. The 146 air-conditioned guestrooms at Baia da Luz include washers/dryers and a coffee/tea makers. Guests can use the in-room complimentary wireless high-speed internet access. Rooms are equipped with LCD TV´s with DVD players. Bathrooms offer shower, tub combinations and hair dryers. All units at this 4-star apartment have kitchens with full-sized refrigerators-freezers, microwaves, dishwashers, and cookware,dishes,utensils. Housekeeping is offered daily. 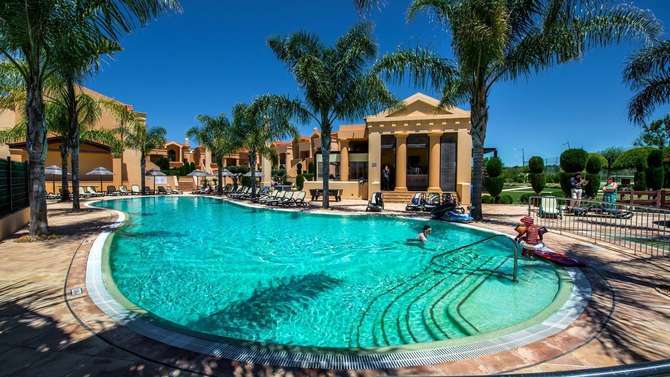 Apartments are located just 200 meters away from the main beaches of Praia da Luz, which combine the very best white sand typical of the area with the gorgeous views offered by the spectacular volcanic cliff that is know locally as the Rocha Negra, or Black Rock.